November 5th, 2018 (6:44 AM). November 5th, 2018 (9:26 AM). November 5th, 2018 (3:40 PM). November 6th, 2018 (1:25 AM). All the valid requests have been made~! Since it's been so very long since Neb and Dark were logged in, we might have been able to make exceptions despite the "no posts" rule not being met. However you guys also disregarded the rule where you need to have made at least 100 posts on the forums in order to request a taken name. This makes it seem like you maybe didn't read the opening post here at all? For now, you may request other usernames that aren't already taken. Once you have reached a post count of 100 or more, you may request a taken username that has 0 posts. November 6th, 2018 (3:27 AM). November 6th, 2018 (9:28 AM). November 6th, 2018 (11:21 AM). November 6th, 2018 (2:24 PM). November 6th, 2018 (5:12 PM). November 7th, 2018 (5:38 AM). I am trying to rebrand myself as well as all accounts I hold so, yep. I want to change my username. Thanks! November 7th, 2018 (6:32 AM). Have now got over 100 post can i please get the nick Dark? November 7th, 2018 (5:50 PM). November 8th, 2018 (6:49 AM). 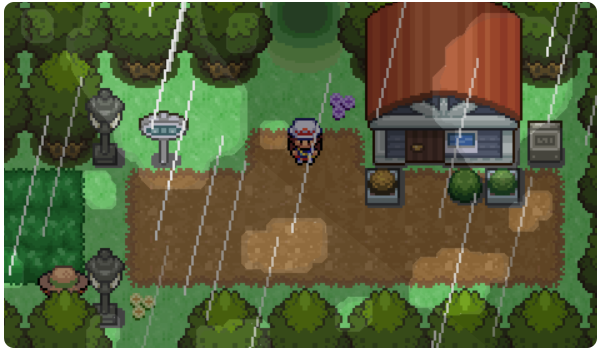 I'm wanting to make a more positive change and I'm wanting to showcase my great talents as a Pokemon fangame and romhack developer. November 8th, 2018 (8:50 PM). November 8th, 2018 (9:08 PM). November 10th, 2018 (1:28 AM). (Any related notes, if any) I created an account called Swdfm, but had to create a new one for some reason. My name on other sites is Swdfm, so I wish to remain consistent! November 10th, 2018 (9:46 AM). Edited November 10th, 2018 by Sheep. Every other requests are done! November 11th, 2018 (1:33 AM). I think it's time for me to return to my original username. November 11th, 2018 (2:45 AM). Since early 2018 I decided to go by this name as my definitive username. I'll take the chance now and change it to fit all my other social medias and accounts. November 12th, 2018 (4:52 PM). Edited November 13th, 2018 by Ghost. The username does exist and has a total post count of 4. However, the account has not been visited in the last 14 years. Is there a possible exception that can be made so I can claim this username? Thank you. EDIT: Username request has been approved for change via PM with Sheep. Thanks! November 13th, 2018 (8:32 AM). November 13th, 2018 (10:22 AM). November 14th, 2018 (4:29 AM). Checked to make sure a user by that name doesn't exist and it seems like there isn't. November 14th, 2018 (9:52 AM). November 14th, 2018 (11:12 AM). I kinda made an account here but haven't really posted much, which I probably will do in the future. Also this username is old. Thanks in advance!